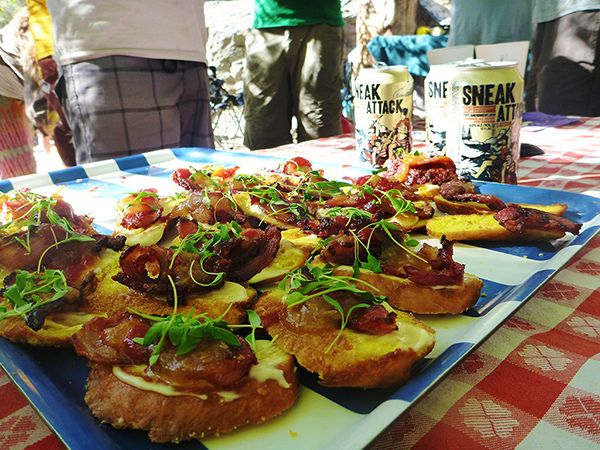 Local chef Chip Roberts, specializes in gourmet comfort cuisine with a southern influence. 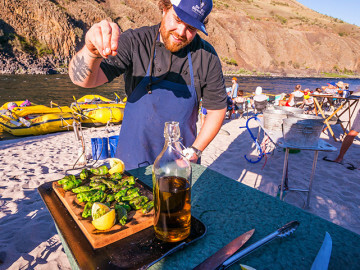 Past river creations include Sarsaparilla and rosemary glazed baby back ribs, blackened catfish with beer battered oysters, and espresso rubbed New York strip steak with caramelized onion and Gorgonzola cream sauce. 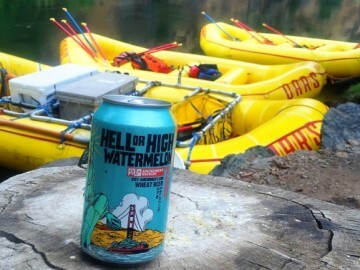 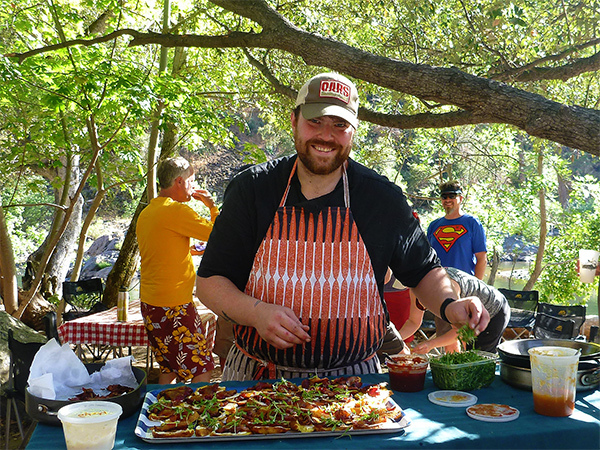 Chip and Shaun have been pairing up for craft beer tasting on the Tuolumne River for the past several years, so this has evolved into a must-do culinary adventure! 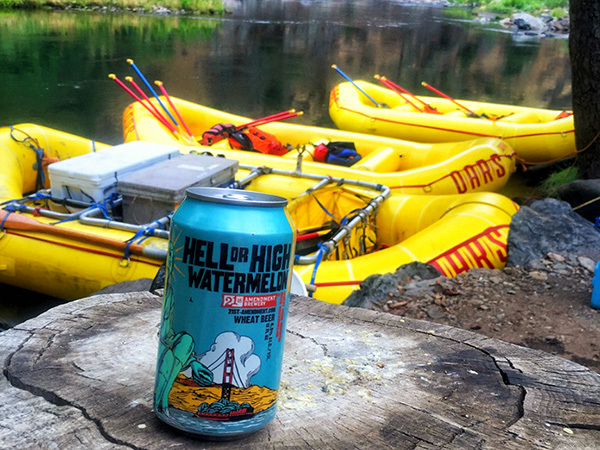 The Wild & Scenic Tuolumne River may just be the ultimate whitewater rafting trip in California. 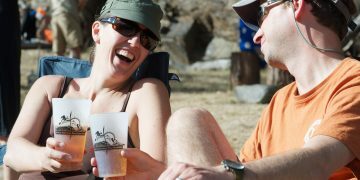 Beginning near Yosemite National Park, it flows through an incredible wilderness canyon and offers eighteen miles of exciting, Class IV+ rapids and plenty of hiking, fishing and swimming opportunities. 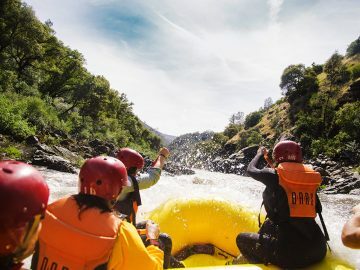 The Tuolumne River is considered by many to be the best whitewater trip in California which is why we have chosen it as one of our “Seven Whitewater Wonders” of the World. 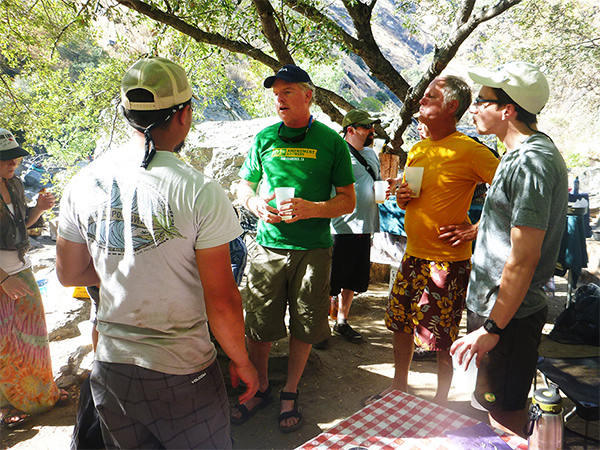 A Tuolumne rafting trip fits easily into a California vacation to San Francisco, Napa Valley or popular Yosemite National Park.